If there is one thing that building industry pros are good at, it is adjusting to the ebbs and flows of the cyclical nature of the housing market. Due to a combination of rising home prices, higher interest rates, and low inventory, the lengthy, post-recession housing rebound did soften considerably in the last part of 2018. However, it also remains to be seen if this softening is merely another pause in a longer story, or if the housing market is closer to the end of the current cycle. For now, most builders are not waiting for the answer, and are already using a combination of financial incentives, a more personal touch to guide homebuyers through the sales process, and tapping the wonders of Artificial Intelligence (AI) to clear existing inventory as soon as possible. Long a standard tool in the builder’s marketing box, sales incentives can vary from covering more closing costs to free upgrades and even outright price cuts. According to recent national statistics, in the first month of 2019, 23 percent of builders lowered their prices – including incentives, but also outright price cuts – versus just four percent in the same month of 2018. While this nearly six-fold increase in net pricing cuts to buyers is certainly notable, it is still far less than the rate exceeding 40 percent back in 2010. Buyers may also be choosing smaller units. According to preliminary data for November 2018 from the U.S. Census Bureau, the median price of a new home sold was $302,400, down seven percent from the previous month, and falling nearly 12 percent year-over-year. At the same time, seasonally adjusted sales were up nearly 17 percent from October, but fell nearly eight percent since November 2017. Meanwhile, the average months of supply for new homes edged down to 6.0 months versus 7.0 the month before, but up sharply from 4.9 year-over-year. A separate report from the Mortgage Bankers Association (MBA) for January 2019 showed a strong, 29-percent sales rebound for seasonally adjusted sales of new, single-family homes after two disappointing months to the fastest pace since 2013. Although January applications for new home mortgages were flat year-over-year, they rebounded by a sharp 43 percent from December. Certainly one major factor helping buyer demand has been a steady decline in lending rates, which, according to Freddie Mac, were currently trending around 4.4 percent in mid-February for a conventional, 30-year fixed-rate mortgage. While this average rate is still up sharply from just below four percent a year ago, the nearly 60-basis point drop from November 2018 can mean over $12,000 in extra purchasing power for that $300,000 home. Today’s technology is also assisting builders to offer a more personal touch throughout the sales process. Considering that a single- family home start can take as long as 90 days from the date of deposit, anxious homebuyers may be looking for reasons to cancel if they are not seeing physical proof of their new home coming to fruition. That is where a “more communication is always better” mindset can help keep sales on track, using a variety of regular video-enabled emails on a regular basis. By educating the buyer from the builder’s point of view, sales managers can also better manage expectations through closing day. 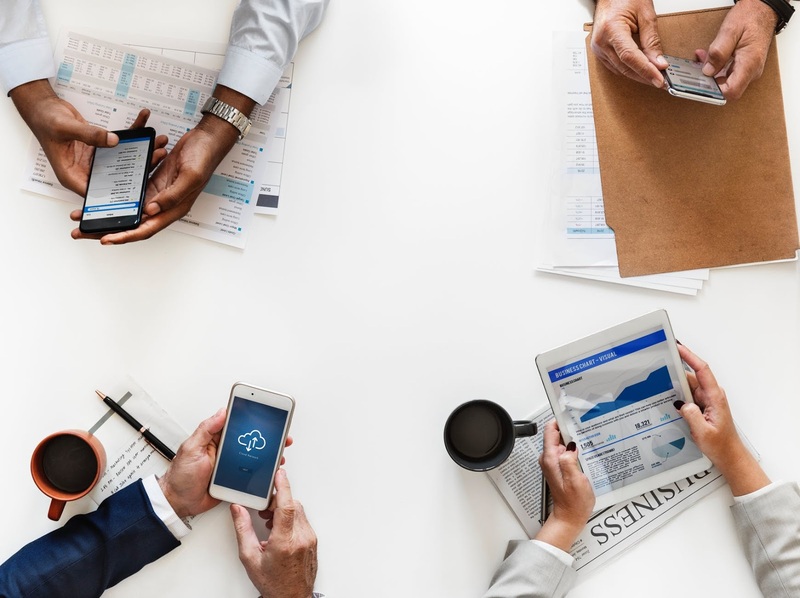 While AI can certainly help with this ongoing communication, it is becoming even more important when personalizing online advertising and messages for new leads with services including Google, Facebook, Instagram, and others. For example, Google’s new ‘responsive search ads’ apply inputs from clients and then use machine learning to arrive at the most ‘perfect’ ad for an individual. According to the experience of online marketing consultant Do You Convert, this evolving technology can help lower costs-per- click by 18 percent, and improve click-through rates by of to 46 percent. On the existing home side, brokerage giant Keller Williams recently launched its own proprietary AI system called Command. Intended to replace other, off-the-shelf CRM competitors, the company analyzed the pros and cons of other systems, and assembled a team of 27,000 people – many of them agents – to create a solution that could be customized to each user. Later this year, the brokerage plans to launch its own consumer-oriented app to compete with Zillow. In both cases, the idea is to win the race for a one-stop shop where potential buyers can search for homes, mortgages, and other related services without leaving the company’s branded garden. Those builders who manage to harness today’s evolving technology without losing the personal touch of a talented sales person will likely outperform their competitors. Is it time to finally bid goodbye to the traditional method of selling homes along with its standard, six-percent commission? After many years of impacting the fields of retail, travel, stock trading and others, technology is now increasingly poised to change how both new and existing homes are bought and sold. While there will probably always be a market for traditional agents, only those with area expertise and excellent customer service will survive in this new marketplace. When Jack Ryan, a former Goldman Sachs partner and technology investor, went to sell his Southern California home to an interested party in 2015, he contacted his local real estate agent who would help him complete the paperwork – for six percent of the sales price. Frustrated with this response and hiring an attorney instead for a small fee, he soon co-founded Real Estate Exchange (REX), which uses artificial intelligence (AI), machine learning and big data to match buyers and sellers for just a two-percent commission. Unlike competitors such as Redfin and PurpleBricks, which discount the listing fee but still require sellers to offer a buy-side commission, REX bypasses the MLS entirely, thus cutting out three percent of the equation. For those buyers who insist that their agent receive a cut, it can still be negotiated with the seller, or the buyer can roll the cost onto their own mortgage. Should anyone experience buyer’s remorse, REX even offers a 30-day, money-back guarantee. For those sellers looking for a faster route, “iBuyers” such as Redfin Now, Zillow Offers, OpenDoor, OfferPad, and Perch provide what is often a below-market cash offer in exchange for an almost-immediate sale. While Zillow expressly encourages sellers to bring in their own professional agent, the others close the deal mostly in-house. For this convenience, they charge overall fees ranging from six to 13 percent, depending on the strength of the market and the condition of the property. Coldwell Banker, in partnership with Home Partners of America, is leveraging the rent-to-own giant’s subsidiary, cataLIST, for cash offers to sellers in select markets. If the seller turns down the offer as too low, then the home is still marketed as a traditional listing. For larger new home builders, NewHomeSourceProfessional, a unit of Builders Digital Experience (BDX), specifically partners with buyer’s agents to help its builder members move inventory to a digital audience. Billed as an “MLS for new homes” and free to agents, the system not only regularly scrapes builders’ websites for pricing and inventory changes, but can also pull specific information about floor plans, school districts and other community information. Going one step further and leveraging the power of AI, last year BDX also unveiled HomLuv, which allows buyers to review and rank more than one million images from 100,000 different new homes. As buyers pin their favorites, the system learns their preferences and begins matching them with participating builders for their locations of interest. 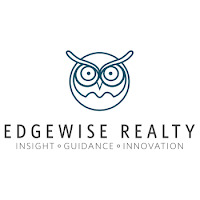 For smaller and custom home builders, Edgewise Realty is another option which offers a closer, direct-to-buyer partnership similar to REX, which also allows clients to reserve units with just a $1,000 deposit, upload financial documents, and make choices about features and upgrades. 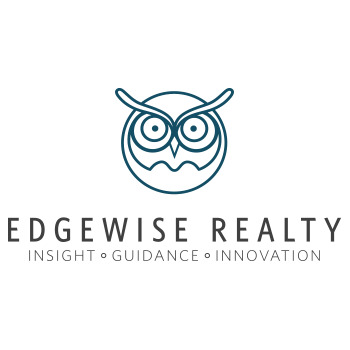 Currently working with about 30 different builders across the country and charging a flat one-percent listing fee, Edgewise buyers can also get regular updates with photos and videos. But what if a potential buyer first has a home to sell? To address that situation, BDX has teamed up with Keller Williams International in multiple U.S. markets for its New Home Ambassador and National Builder Trade-in programs. Although the ambassador program allows agents to create a separate and personally branded website to search new home listings, the trade-in program charges a discounted, three- to four-percent commission while still offering the expertise of professional stagers and agents, and even lease buy-out programs for renters. Meanwhile, upstart Knock has another strategy appealing to builders, which is to purchase a seller’s chosen new home for cash -- often at a discount -- and then sell the old home the traditional way. Only when the old home escrow closes do the buyers receive title to the new one. Similarly, Ribbon finds buyers first, and then offers sellers a competitive, all-cash bid for a commission of 1.95 percent. With Ribbon, buyers can even rent out their new homes at market rates until they’re able to obtain a suitable mortgage, whereas if a Knock listing is taking too long to sell, it can also be temporarily converted to an income property. Indeed, the times, they are a-changin’.